We are manufacturing, exporting and supplying Trendy Soft Wool Scarves to our customers in Amritsar, Punjab, India. 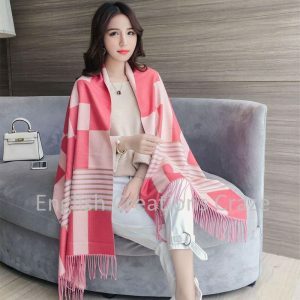 These Wool Scarves are Luxuriously full of comfort.Buy Wholesale scarves in bulk quantity at discounted prices as ENGLISH CREATIONS CRAZE is a wholesaler From India, manufacturer, supplier, exporter of scarves, shawls, stoles, Pareos , Kaftans, Sarongs, bags, ponchos, Kimonos, jacquard scarves, printed scarves, fabrics. 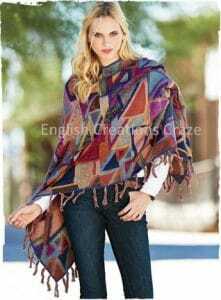 We are offering to our valued customers qualitative range of Wool Scarf. 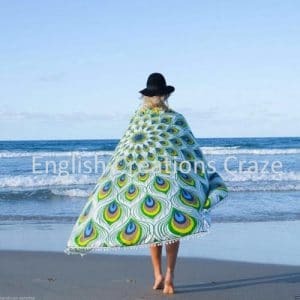 These are Widely known for its durability and fashionable nature of Wool Scarf.Importers buy Wholesale scarves in bulk quantity at Competitive prices as ENGLISH CREATIONS CRAZE is an exporter From India, wholesaler, manufacturer, supplier of scarves , shawls , stoles , bags , ponchos , jacquard scarves , printed scarves, Pareos, Kaftans, Sarongs, Kimono , in all kind of fabrics From India. Offered range of Wool Printed Scarves are made of using high quality threads and yarns with modern machinery in accordance to the current fashion trend .Our All Wool Printed Scarves are comfortable and highly applicable in the garment industry.Clients can buy Wholesale scarves in bulk quantity at Competitive prices as ENGLISH CREATIONS CRAZE is a manufacturer From India, wholesaler, supplier, exporters of scarves, shawls, stoles, bags, ponchos, Kaftans, Sarongs, Kimono , printed scarves, jacquard scarves, Pareos and fabrics. Strong threads of multiple colors have been used to create tempting designs on the high grade fabric of these Wool Jacquard Scarves. 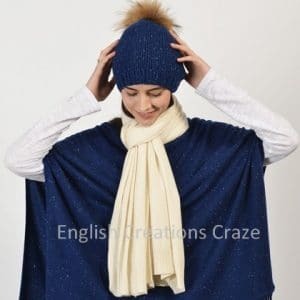 Moreover, these Wool Jacquard Scarves have created a wide demand in the national as well as international markets.Customers can buy Wholesale scarves in bulk quantity at discounted prices as ENGLISH CREATIONS CRAZE is a supplier From India, wholesaler, manufacturer , exporter of scarves, shawls, stoles, bags, ponchos, Pareos, Kimonos, jacquard scarves, printed scarves, Kaftans, Sarongs, and Fabrics. Wool Cotton scarves are Luxuriously soft and full of comfort.Offered Wool Cotton scarves are finished with a delicate eyelash fringes to give more attractive look.Clothing stores can buy Wholesale scarves in bulk quantity at discounted prices as ENGLISH CREATIONS CRAZE is a supplier, wholesaler, manufacturer , exporter of scarves, shawls, stoles, bags, ponchos, Pareos, Kimonos, jacquard scarves, printed scarves, Kaftans, Sarongs, and Fabrics From India. We are a leading organization involved in manufacturing, exporting and supplying Wool Silk scarves in Amritsar, Punjab, India.We have very big experience to produce these scarves as an affordable luxury to be enjoyed.Brands can buy Wholesale scarves in bulk quantity at discounted prices as ENGLISH CREATIONS CRAZE is a supplier, wholesaler, manufacturer , exporter of scarves, shawls, stoles, bags, ponchos, Pareos, Kimonos, jacquard scarves, printed scarves, Kaftans, Sarongs, and Fabrics From India. Handmade wool scarves are essential garments to protect your neck from the cold winds. 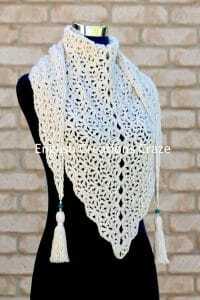 Adding a bit of style and fashion makes it more enticing to wear them on all types of clothing, and in all seasons. The colourful winter scarves can catch the eye and make you stand out from the crowd. 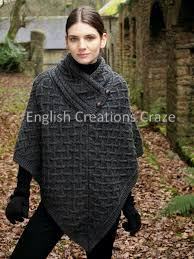 English Creations Craze specialises in the manufacture of such scarves for winter. In addition to being the leading wool scarf manufacturers, we are ahead of everyone else in exporting them to various countries. We have unbelievable range woollen scarves on display. 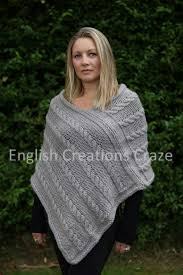 They include the wool scarves for children, pashmina scarves, winter scarves, and so on. Each of our scarves is of the best quality as far as artisanship is concerned. Our technicians and artisans ensure to procure the best quality of raw materials from the choicest of places. 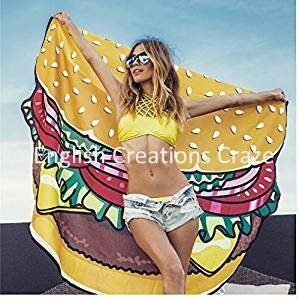 We also see to it that we incorporate the latest trends in fashion. As we have an incredible range of colourful handmade wool scarves, our web store has become the favourite of people all over the world. Our scarves have a reputation for being durable and fashionable at the same time. We ensure that we maintain the best quality at all times. It explains why distributors and large scale retailers love to have our scarves adorning their showrooms. We offer discounts to those who order their consignment in bulk. These rebates make our scarves available at competitive prices. The attractive discounts are one of the factors that entice people to buy from us. We have facilities where you can book your scarves online from our factory outlets at factory prices. You also get the opportunity to customise your scarves by sending us your designs. Our technicians include these designs and personalise your scarves making them all the more attractive. 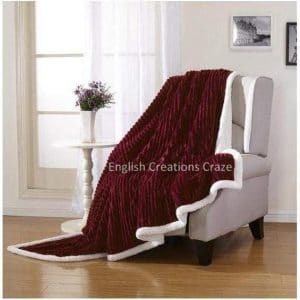 We are the leading wool scarf manufacturers in India. We have a dedicated domestic market for our winter scarves across the US, Europe and the Middle East. Access our web store to look at the entire range of scarves on display. It will help you order your wholesale and bulk requirement online.